This is a great opportunity for all of our volunteers to remember the challenging and valued work they were involved in (or are still involved in) this year or previously in India, Thailand & Sri Lanka. We have received amazing feedback this year from various stakeholders, so this is a great day to celebrate your successes in all that you’ve achieved volunteering with VESL! 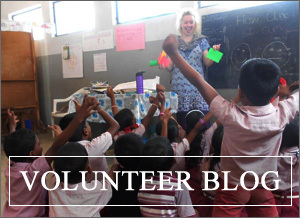 We sent a record number of volunteers overseas in 2013 and would like to say a huge well done and thank you to all the volunteers involved in our programmes! A special thank you must also go to those who have helped out on their return to the UK too, it’s always great catching up with everyone! For others today may simply be a chance to explore ways in which they can get involved in a volunteering programme… if that’s you – please do get in touch and make sure you check out our blogs from our recently returned volunteers! – you may find yourself widening your horizons in 2014! ← PREVIOUS POST : Where to find VESL in 2014…?